I was recently appointed as a director on a board of a company. Can you explain what role I can play as a director in achieving good corporate governance? Corporate governance is a general term given to the exercise of powers of the board of directors and the managers of a company. Good corporate governance is the term used when these bodies exercise their powers, rights and responsibilities in accordance with best practice in the best interest of the company and its stakeholders. Essentially, a company is run by two bodies: its board of directors and its chief executive officer/managing director, who leads the company’s executive management team. Both bodies have differing roles and responsibilities which exist to effect a check and balance on the powers held and exercised by these bodies. The chief executive officer or managing director is responsible for the efficient day to day running of the company. These are called operational powers. These powers are expected to be exercised in an effective and efficient manner to ensure the company is meeting its strategic goals. 1. The board is responsible for determining the strategic goals of the company, monitoring performance and holding executive management accountable for achieving agreed targets. 2.The board is responsible for risk-management and determining appropriate strategies, including implementing policies to identify and treat with various risks including financial, legal and human resource losses. 3. Executive management, not the board, is responsible for the day to day running of the company and business continuity. 4. Executive management is accountable to the board for performance and/or non-performance of the strategic goals set by the board on behalf of the shareholders. 5. Ensuring legal obligations are met are both the responsibility of the board and the relevant executive managers. As a member of the board, it is also important to understand your fiduciary duties. Fiduciary duties are essentially your duty of loyalty to the company, its shareholders and employees, to act in good faith to ensure that the company is run efficiently and decisions are taken in the best interest of both the shareholders and employees of the company. The board is expected to ensure that the company is able to meet the expectations of the shareholders while ensuring that all obligations to creditors, regulators, tax authorities and employees are met. This is necessary as failure to meet any of these obligations can potentially have a significant negative impact in terms of liabilities, including being taken to court and the attendant legal costs and reputational fallout which may result. Further, since February 2018, with the landmark Privy Council ruling in the TT case of Julien and others v Evolving Tecknologies and Enterprise Development Company Limited, being a member of a board has become riskier as there is now clear precedent that board members can be sued and found liable for making a negligent decision in breach of its fiduciary duties. 1. You are presumed to know the law. So educate yourself or ask your chairman and corporate secretary to ensure you are sent for specialised corporate governance training. Ask that it covers legal obligations arising from the Company Act, Occupational Health and Safety Act, Public Procurement and Disposal of Property Act, Integrity in Public Life Act and Environmental Management Act. 2. You are entitled to some measure of protection in the performance of your duties as a director of the board. Ask your chairman or corporate secretary if the company has in force a valid policy of insurance for directors’ and officers’ liability. 3. You are required to exercise reasonable care, skill and diligence having regard to your own area of expertise and experience. This means that if you have special expertise in an area, you are expected to exercise reasonable care in making the decisions you make taking into account matters for which you would have that special expertise. It also means sharing your concerns in the board setting to assist others in making a decision. 4. You can only act within your powers. An individual member of a board cannot make a decision for the company. The board acts as a collective body and although the chairman decides what matters come for the board’s decision, all members have one vote. The chairman has a casting vote (second vote) in the event of a tie. The best practice is that decisions be made by consensus. However, this is not always practicable. Time constraints sometimes preclude the feasibility of addressing every concern raised by every member of the board. 5. You have a duty to exercise independent judgment. The strength of a board lies in its composition (size and variety) which allows for issues to be fully considered by individuals holding different viewpoints based on their competence and experience. Directors are expected to independently assess matters requiring decision. It also means that you must respect other directors’ viewpoints so that when the ultimate decision is being made, all positions are properly considered. 6. Acting in good faith means acting in the way that best promotes the interest of the company. If it promotes your own interest and if your decisions are based on promoting your own interest, directly or indirectly, then you are not acting in good faith. 7. You are also required to prevent yourself from acting in conflict of interest. This means that you should declare your interest in a matter being considered in which you know you have an interest. This interest can be as direct as your having a share in company being considered for a contract or as indirect as your child having shares in the said company. You must disclose what you know and should abstain from consideration of the matters. If you fail to do so, the entire board’s decision could be tainted by reports of corruption. Further, if you are a member of a state board, you are subject to the Prevention of Corruption Act and if you are convicted of having received an "advantage" as described under the act, the penalties include incarceration. 8. It is your right to have your dissent with the board’s majority decision recorded if you wish. However, boards that are cohesive tend to be more effective and successful. 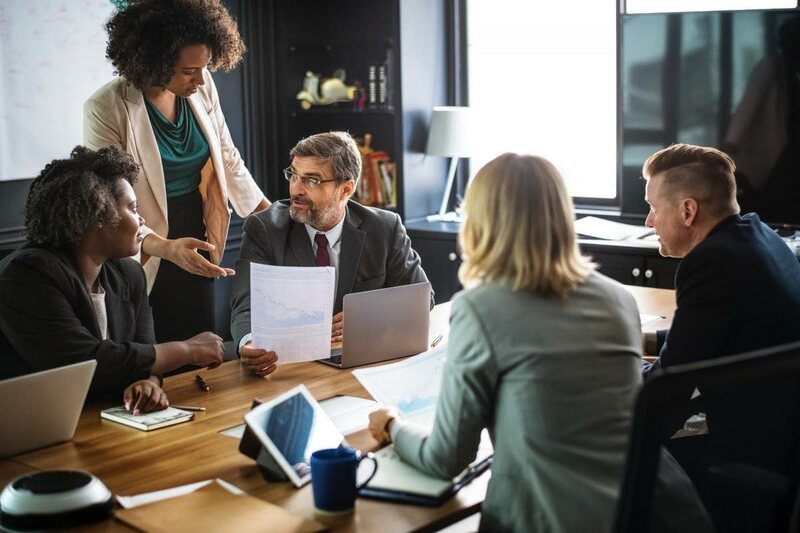 Prior consultation or discussion with the chairman of your board to explain your concerns and issues may allow additional clarification which can lead to a matter being more quickly resolved at the board meeting, thereby avoiding possible disagreements which undermine the effectiveness of the board. 9. Courtesy is important. Protocol should be respected, even if the formalities have been waived. The chairman is the chairman of the board. He or she runs the meeting in the way he or she wishes provided that decisions are made with sufficient consideration of the matters raised. All exchanges are effectively made through the chairman. Formalities may be waived but this is entirely at the discretion of the chairman. 1. Exercise your skill, abilities and experiences in a reasonable way when considering all decisions placed for the board’s consideration. 2. Ask for director’s liability insurance and training in corporate governance, specifically risk-management and director’s duties. 3. Ask for an expert opinion when you think that there is need for expert advice in an specialised area, for example a legal matter requiring decision, ask for a legal opinion to be made available to the board. 4. Recuse yourself from any matter in which you stand to gain an advantage from the decision to be made. 5. Where you seriously disagree with a proposed decision and you are not satisfied that your reason for disagreeing has been factored in when a majority decision was made, ask that your dissent and your reason for same be recorded in the minutes. Always check to ensure that the confirmed minutes contain this recorded dissent. 6. Strive to not take personally any decision made without your agreement. The end to be achieved is the success of the company and not the happiness of any individual member of the board. Consensus, while preferable, is not always practicable to obtain in a timely fashion. 7. Regularly monitor the performance of decisions made by the board where it is determined that performance is critical to the company’s success and ensure you raise important matters with the chairman of the board sufficiently in advance of the meeting to increase the likelihood of the matter(s) being considered fully at the meeting. 8. Remember that if your shareholders are dissatisfied with the performance of the board, that is, if they believe that you have failed to set deliverable strategic goals and ensure that management has delivered on them, they can fire the whole board or replace the skill set that they think is underperforming on the board. I wish you well in your deliberations. AFETT is a not-for-profit organisation formed in 2002 with the goal of bringing together professional women and engaging in networking opportunities, professional training and business ideas. ASK AFETT is a column meant to address issues and concerns of professionals seeking advice to assist in progressing in their careers. Today's response was written by AFETT member, Camille Mohan Cayenne, corporate secretary, NAMDEVCO. Learn more about AFETT at www.afett.com, search for AFETT Events on Facebook, follow us @AFETTEXECS on Twitter or contact us at 354-7130. Email us your career-related questions at admin.afett@gmail.com. The views and opinions expressed are those of the authors, meant strictly as advice and guidance, based upon their experience and expertise. In no way are they meant to be legally binding upon AFETT and or its members, servants nor agents. Reply to "Know your position. Play your position"